About two decades in Hyderabad, still the Bengali New Year brings the same feelings in me. A week before, I start scanning the internet for the Bengali food festivals planned at different restaurants in the city. Hyderabad has about half a dozen Bengali restaurants and each dish out their special items during this time. Also, a few fine dine restaurants host Bengali food festivals either at this time or during Durga Puja. This year, I had a special role in “BorshoBoron”, the Bengali food festival at United Kitchens of India. They were planning to have this festival for two weeks and the management had invited me along with a couple of other bloggers to help them work out the menu for the festival. The restaurant serves some great Bengali food anyway, so culling out a special menu for the New Year Festival was not a problem. 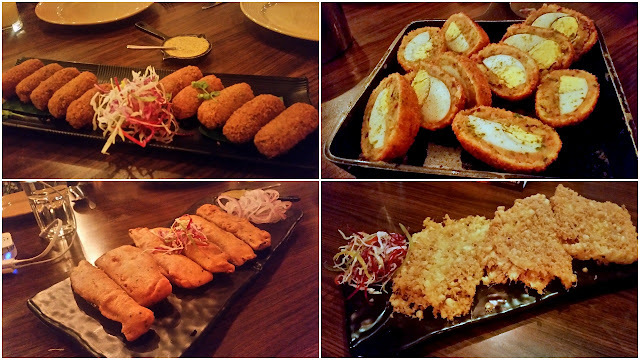 Starting from Aamporar Shorbot through a range of starters like Dimer Devil and Fish Fry, we decided on a range of vegetarian and non-vegetarian delicacies. For the starters, our choice at UKI included the Kabiraji Cutlet (a traditional Bengali cutlet covered in egg fluff) and Mochar Chop (a croquette with a spicy banana flower mince). 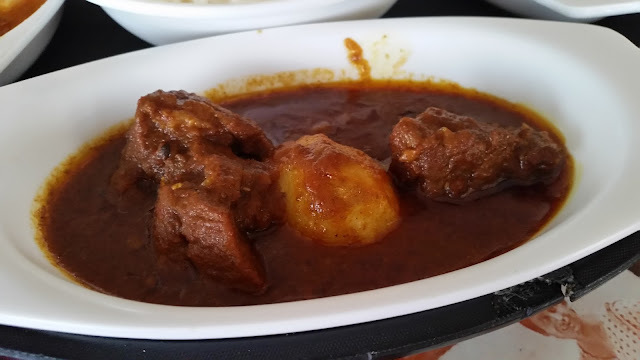 A dish which the chef here excels is Siraji Mutton, mutton in a sweet and spicy gravy served with egg and potato. 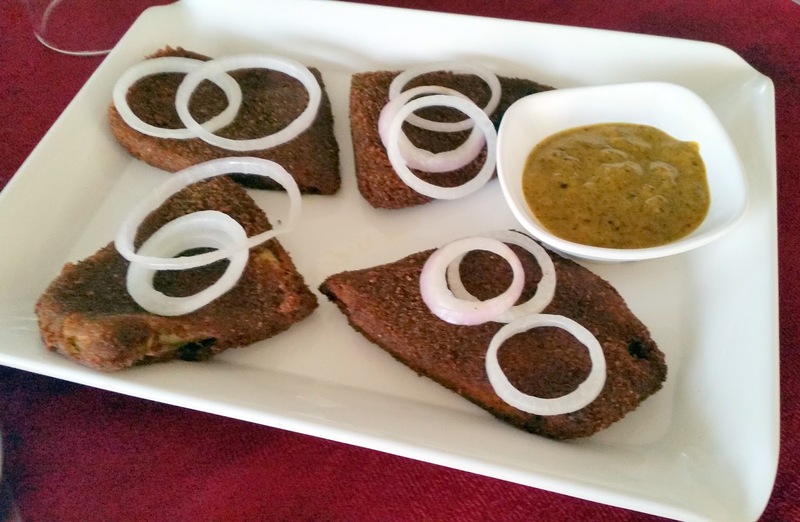 The Narkel Diye Chholar Daal is another dish not to be missed with Luchi. All these with Echorer Dalna (raw jackfruit masala), Sorshe Bhetki (fish cooked in mustard) and Chingri Malai Curry (prawns in a coconut based gravy) were the highlights of the menu. Sandesh and Chanar Payesh were the sweet dishes on offer. We were glad that the festival was well received, and feedback was quite good. 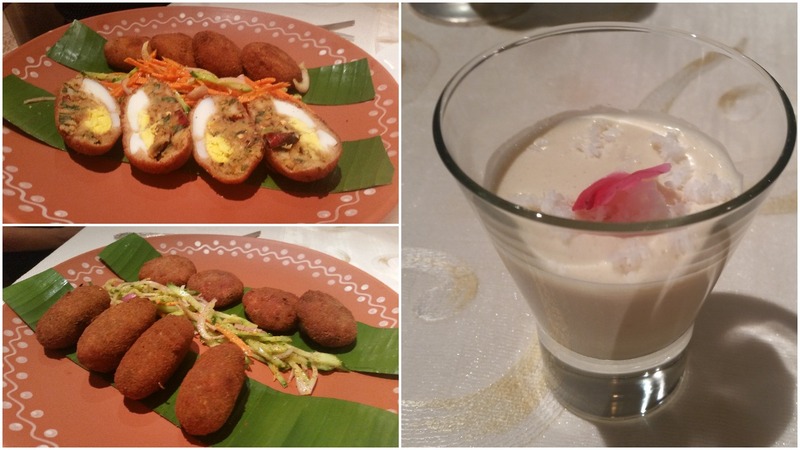 During this festive weekend, Bengali food was not just restricted to one restaurant. Aish, the Indian restaurant at Park Hyderabad had a promotion called the “Royal Bengal Food Festival”. 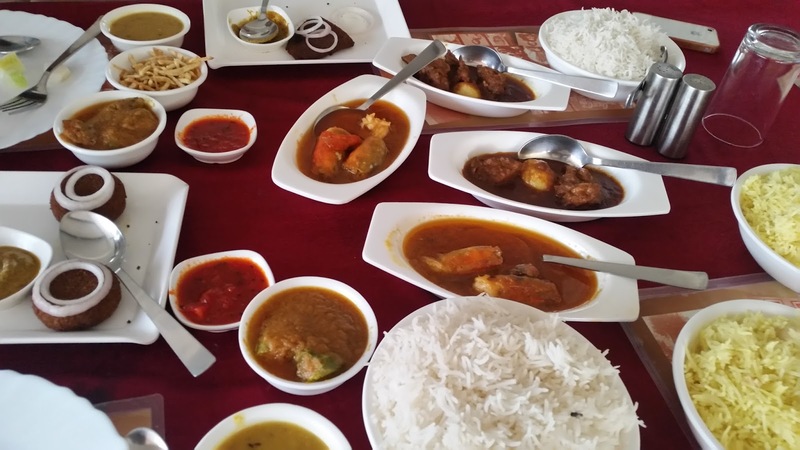 Here the Bengali dishes were presented very attractively in a terracotta thala. The day I had visited for a preview had quite a few surprises – starting from Nolen Gurer Rabdi Lassi as a welcome drink to the Chef’s Special Dessert (ice cream drizzled with nolen gur on a bed of kanchagolla sandesh). The spread here was pretty elaborate. What I liked about the food at The Park was that the preparations were kept simple – much like home food. A few standouts were the Shukto (a signature Bengali mixed veg curry cooked in milk which goes with rice), Aloo Pataler Dalna (a rich preparation of potatoes and pointed gourd or parwal), Narkoli Chingri (a coconut based recipe of prawn) and Kacha Lanka Chicken (a gravy with green chillies). The Mishti Doi was a miss for me – I have not been satisfied by this dish from any Hyderabad restaurant so far. But the Nolen Gurer Sandesh filled with jaggery syrup made it up for me. In the Bengali restaurants, a special spread for the New Year is often offered throughout the week. 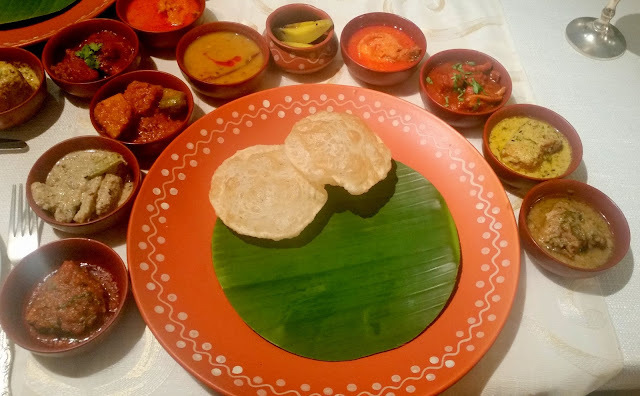 My good friends Indro and Mou Ganguli invited me to “Poila Boishakh Calling” – the special menu for New Year at Call of Bengal, the Bengali restaurant opposite DLF at Kondapur. 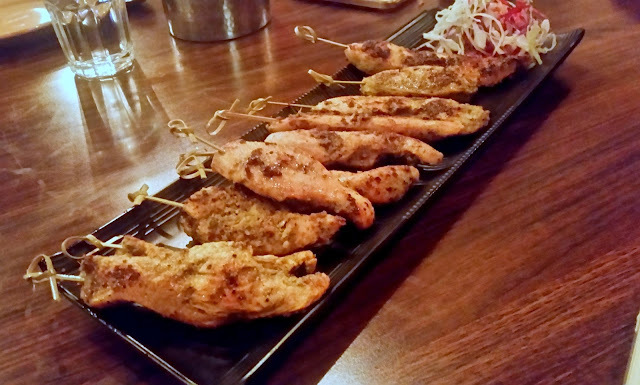 Starting with Lebur Sarbat, the spread had starters like Mochar Chop and Fish Fry – the latter with Kasundi really was a hit. The fish fillet was fresh, soft and tasty and the coating was very thin. It reminded me of the delicious Chingrir Cutlet I had here the last time I visited. Bhaja Muger Dal was very authentically prepared and accompanied by Alu Bhaja. Both the non-veg dishes prepared on the day – Chingri Malai curry in thin coconut gravy and Mutton Curry were brilliant. 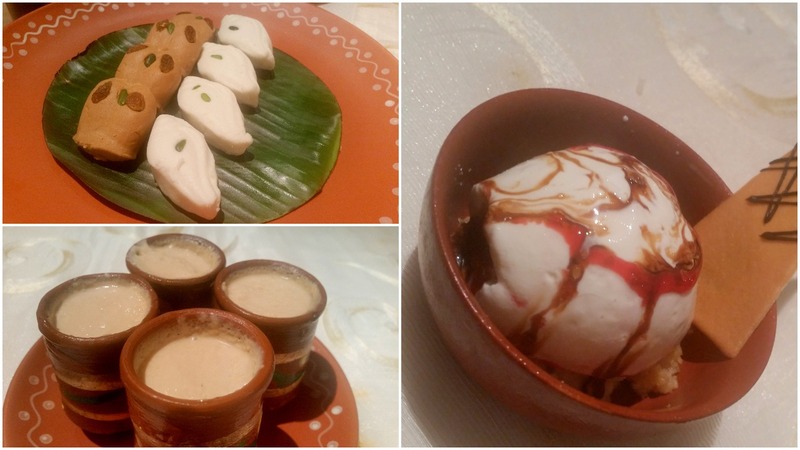 And to top it all was the dessert served in the bhoj – Bhapa Doi is indeed a must have in this restaurant. One aspect to be highlighted is the meal which is light on the tummy, with just adequate oil and masala. My wife who accompanied me here commented that the style of cooking reminded her of some of the best home-cooked meals she had . 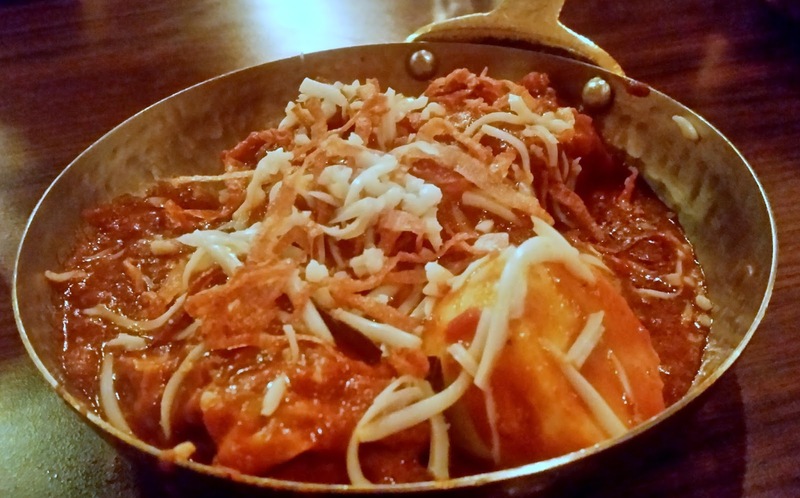 I made a mental note to come back here soon for their Park Street food – Chicken A La Kiev and Fish Florentine, as well as for more of their Bengali dishes. The gastronomical journey for the first few days of Bengali year 1423 has been extremely satisfying. Let us hope the rest of the year matches up with it.